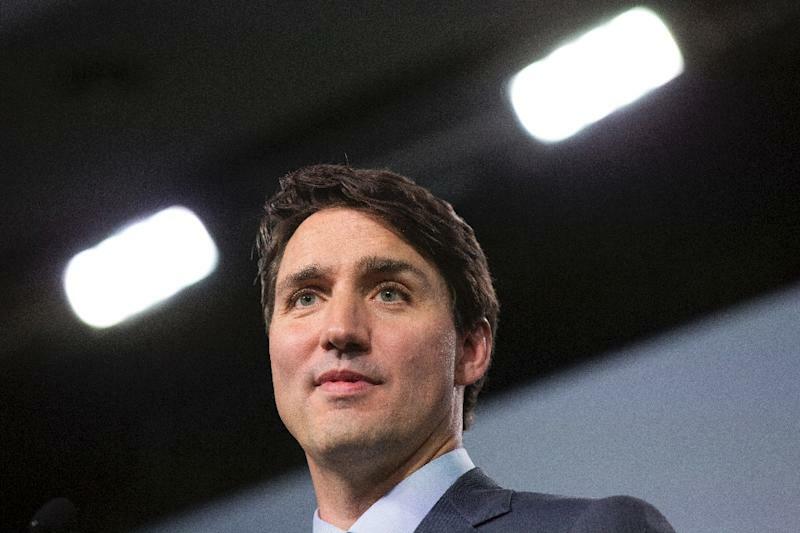 Montreal (AFP) - Prime Minister Justin Trudeau notched himself a political win ahead of Canadian legislative elections by granting asylum to the teenage Saudi girl fleeing her parents, experts here say. As Freeland clutched Qunun's arm in the presence of reporters from across the globe she reminded everyone that human rights were Canada's priorities under Trudeau -- especially the rights of women in countries like Saudi Arabia. 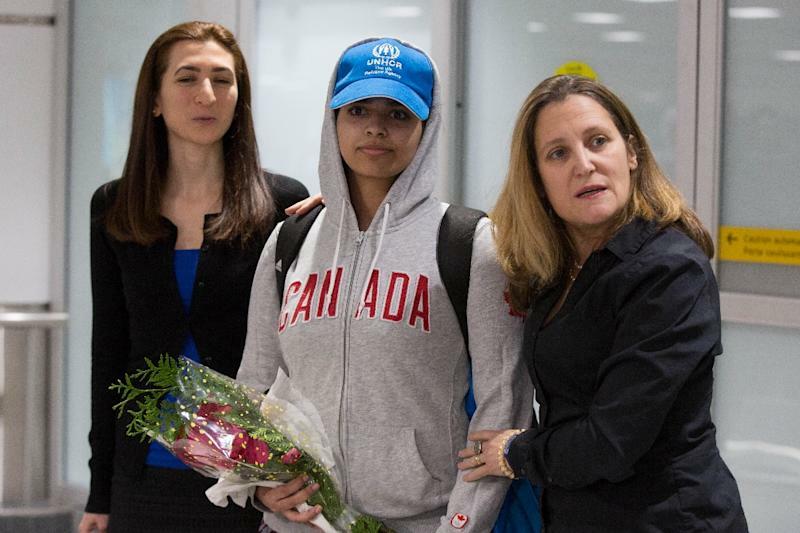 By granting Qunun asylum, Canada was "standing up for human rights around the world, and we believe very strongly that women's rights are human rights," Freeland said. 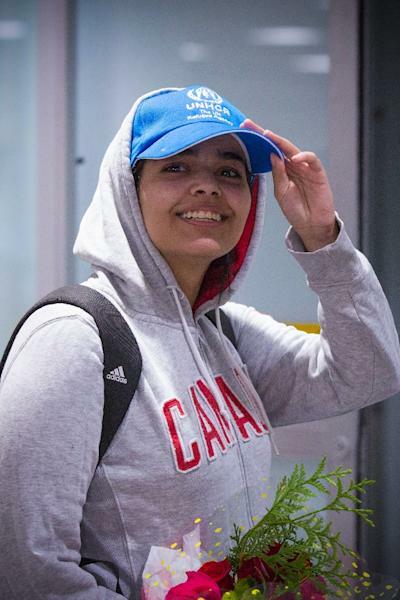 Accepting the Saudi teen was "very good on a humanitarian level," said Ferry de Kerckhove, a Canadian former diplomat and current professor at the University of Ottawa, "but it's also a very good move for the prime minister and for Canada." "You had to see Ms. Freeland's beaming smile when she greeted the young woman," he told AFP. "We felt they had scored one more point" against those "awful Saudis" who murdered dissident journalist Jamal Khashoggi, he said. Qunun's attempt to flee Saudi Arabia was embraced by rights groups as a beacon of defiance against repression. The Saudi teen captured the world's attention with a trail of Twitter posts that ignited a #SaveRahaf movement as she fled what she said was physical and psychological abuse from her family in ultra-conservative Saudi Arabia. Rights groups also said she had renounced Islam, risking prosecution in her homeland. Qunun's family has denied the abuse allegations. The publicity thwarted an attempt to deport the teen to Saudi Arabia after she arrived in Bangkok on a flight from Kuwait. Thai authorities instead turning her over to the UN's refugee agency. "At a time when Saudi Arabia's global image is tarnished by assassination of critics, I cannot imagine that there was not mirth in the Canadian government shared by the well-meant genuine sense of wanting to protect a refugee," said University of Ottawa law professor Amir Attaran. But the move is certain to further strain Canada's relations with the kingdom. Ties soured in August 2018 over Ottawa's criticism of human rights in Saudi Arabia, prompting Riyadh to expel Canada's ambassador and sever all trade and investment ties in protest. Canada is "on the right side of history" by granting Qunun asylum, said University of Waterloo political scientist Bessma Momani. "We are demonstrating our moral leadership on the issue of gender equality," she wrote in a Globe and Mail newspaper opinion piece. "Our bilateral relationship with Saudi Arabia is already at an all-time low, so there may be no lower place to go," she said. By harnessing the power of social media to garner global attention, Qunun "has opened a Pandora's box that only Saudi Arabia can close," Momani wrote. De Kerckhove predicted that the Saudis will stay "rather quiet." "My only concern," he said, "is that the Saudis will take revenge" on jailed blogger Badawi. However he hoped that the global outcry following the murder of journalist Jamal Khashoggi case "will prevent them" from such action. Attaran told AFP that the Saudis "are learning the stupidity of their incendiary foreign policy." When in mid-2018 "they burned their political, educational and financial linkages with Canada, they left no leverage over which to rebuke Canada meaningfully."